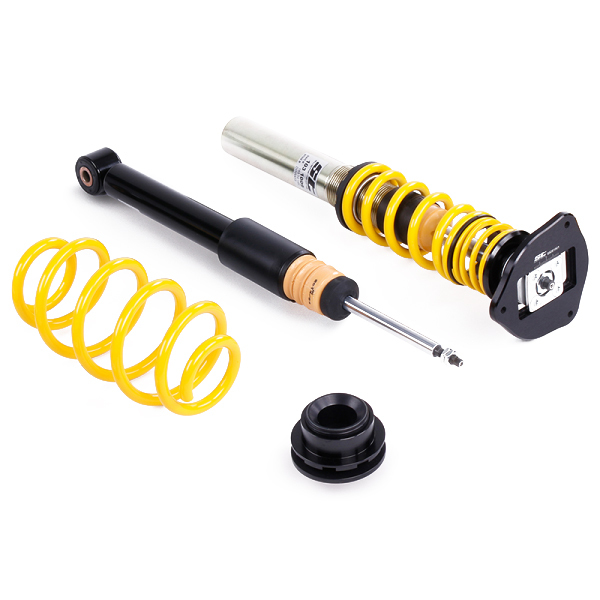 Our new ST coilover springs are now available for a variety of cars. With the innovative ST threaded sleeve it does not matter, if the car has a welded or racked spring plate at the standard strut. So to say, our ST coilover springs convert a series suspension into a coilover suspension! If the suspension kit has an active damper control, it can further be used. Similar to coilover kits, the ST coilover springs which are continuously adjustable in height, allow to adjust a desired lowering. Also, the vehicle-specific dust protection elements and additional spring elements are designed for the maximum lowering in combination with the respective series dampers. So with the ST coilover springs, a sporty, harmonious driving behavior can be realized, without that the driving dynamics suffers. 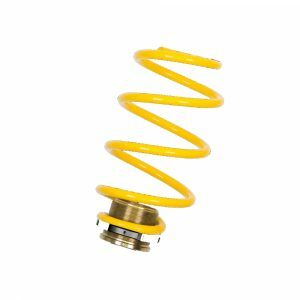 Our new ST coilover springs are now available for a variety of cars. With the innovative ST threaded sleeves it does not matter, if your car has a welded or racked spring plate at the standard strut. 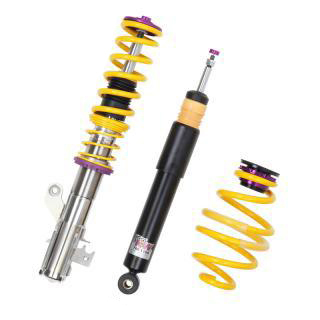 Our ST coilover springs are perfectly suitable for the lowering of cars with electronically controlled dampers and this way, all comfort functions of an active damper control remain. We from ST suspensions always have the driving pleasure of automobile enthusiasts in mind when it comes to our products, and so our vehicle-specific spring rates of the ST coilover springs always perfectly harmonize with the adaption of the respective series dampers. 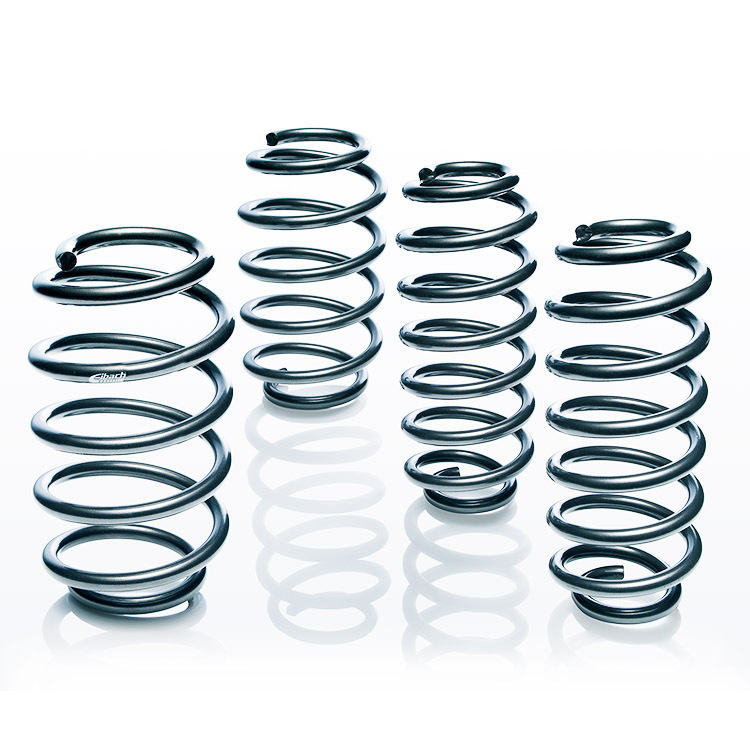 Our sport springs made of chrome-silicon-steel, guarantee a direct driving pleasure with their spring rates. Due to the lowered body center of gravity, the driving dynamics benefits from an improved handling. Also at strong steering movements and fast cornering, the bodywork movements are reduced by the lower tendency to roll.